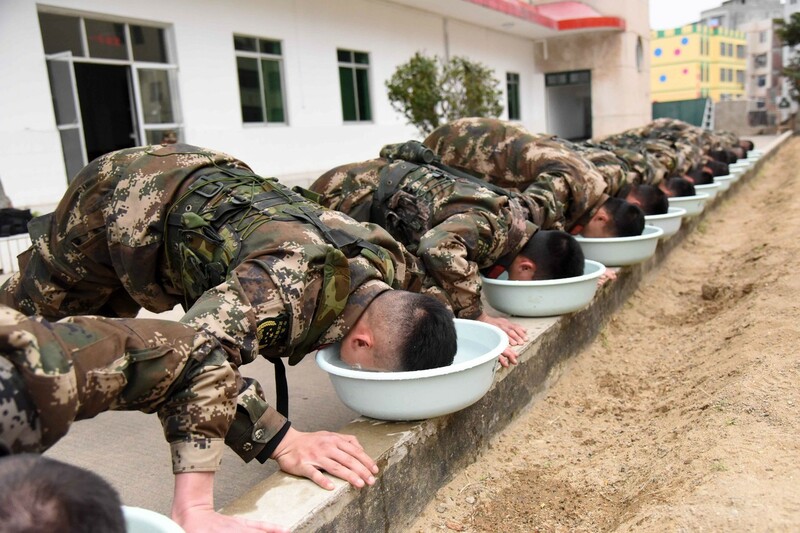 Soldiers train in Nanning, China. 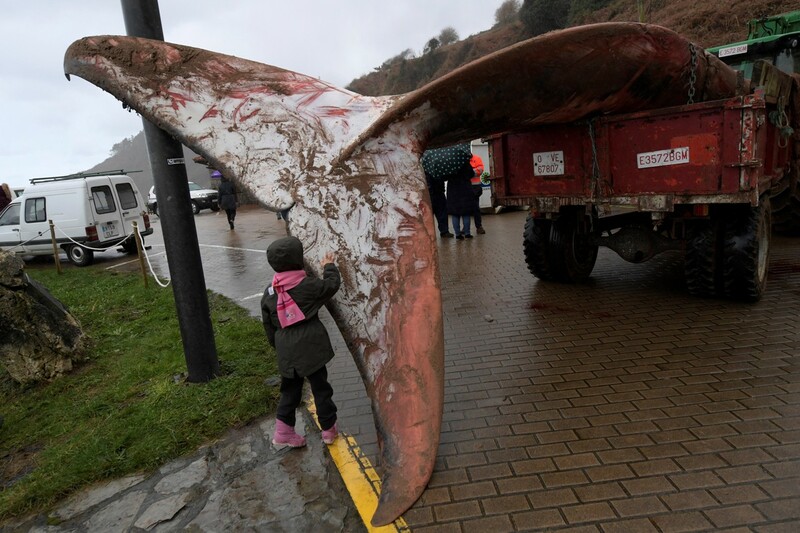 A girl touches the tail of the corpse of a beached whale at Arenal de Moris in Caravia, Spain, on Friday. 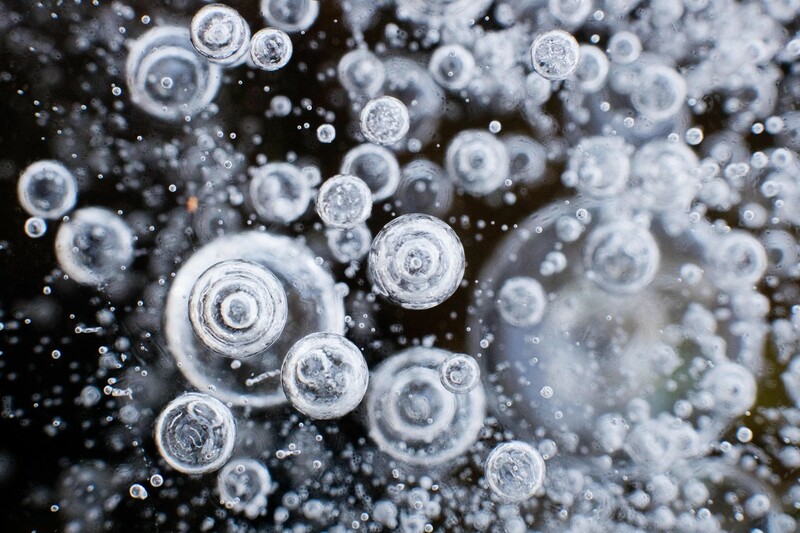 Air bubbles are frozen in water in the Herrenhausen Gardens in Hanover, Germany. 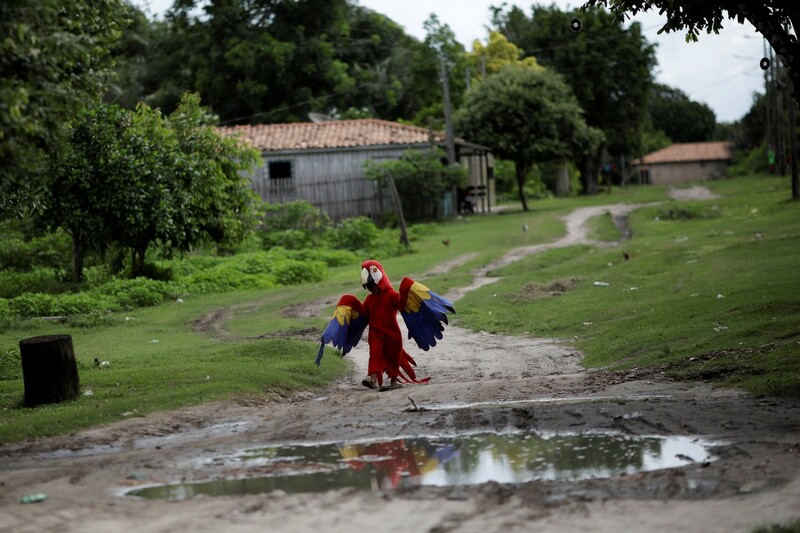 A costumed reveler is seen during Bicharada, an the annual block party that is part of pre-carnival festivities in Cameta, Brazil. 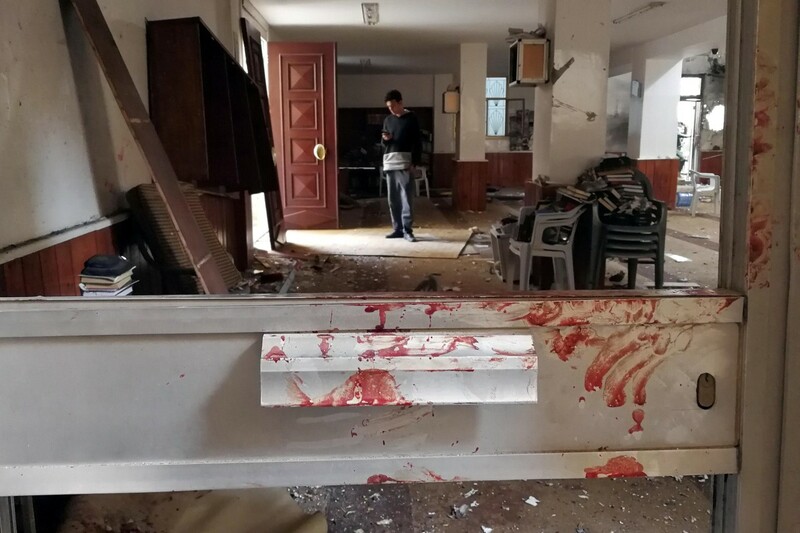 Blood stains a door following a bombing inside a mosque in Benghazi, Libya. 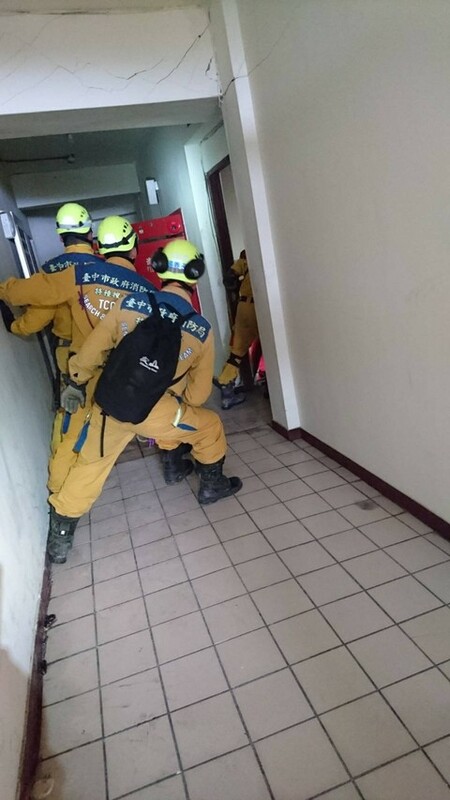 An image obtained from social media shows rescuers searching for survivors Thursday inside a building that was damaged by an earthquake in Hualien, Taiwan, earlier this week.